Huge what the f@&%$ film is either going to delight you or having you running for the hills as a Catholic priest traveling in China ends up with the ability to turn into a dinosaur. It is a power he uses to fight crime and a band of ninjas. A low brow, low budget cheesy production this film aims to be the sort of thing that Mystery Science Theater 3000 makes fun of with regularity. It largely succeeds as one can't help but talk back to the screen. This is a film you need to watch with as many friends as possible to truly enjoy. While the film is probably way too knowing and doesn't always maintain the right balance of comedy and drama in the performances (the actors are all way too good for the material) the film always manages to entertain. 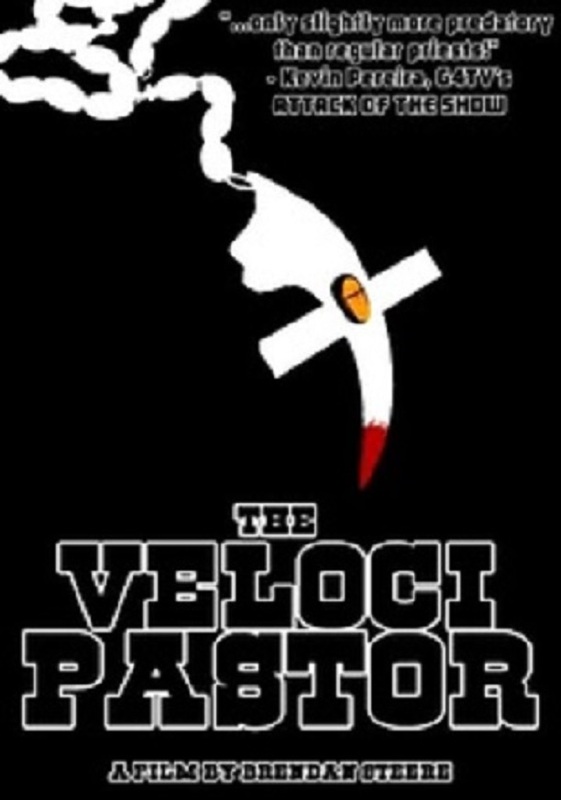 Running a scant 70 minutes VELOCIPASTOR never over stays it's welcome. Iti s recommended for anyone who wants to riff a film that's well aware of how silly it all is.